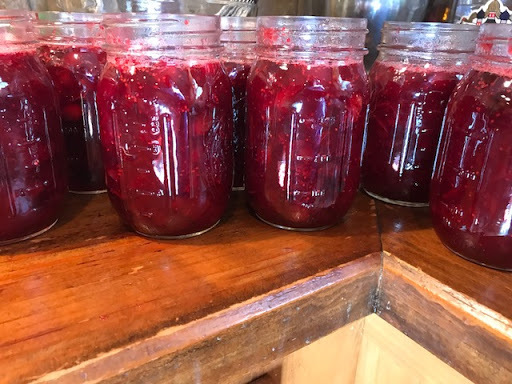 This recipe was given to me from a friend on one of the canning sites I’m a member of. I made a couple of changes and this is the result. In a large pot, add the water and sugar. Heat until the sugar is completely dissolved. Add the cranberries and cinnamon, stir well, and cook until all the cranberries have popped, stirring occasionally. 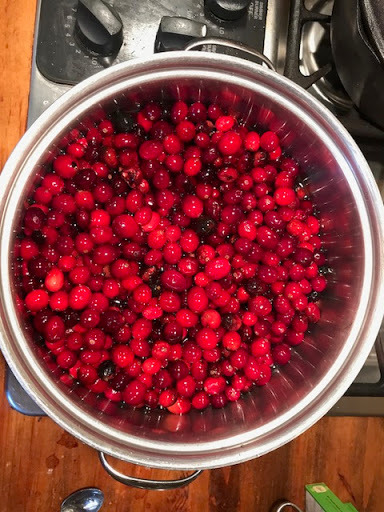 My cranberries were frozen when I added them. It took about 30 minutes over medium heat. I did help a few stubborn ones along with the back of my spoon. 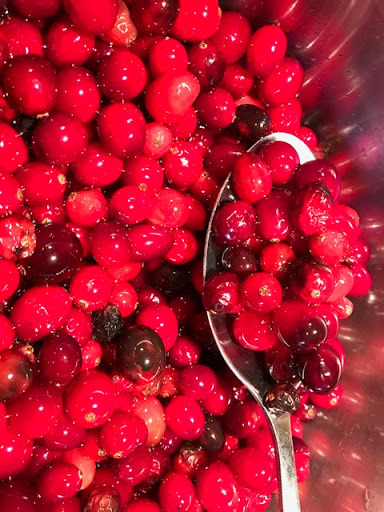 When the cranberries have popped, reduce the heat to low and add the vodka. Let this simmer for 15-20 minutes. 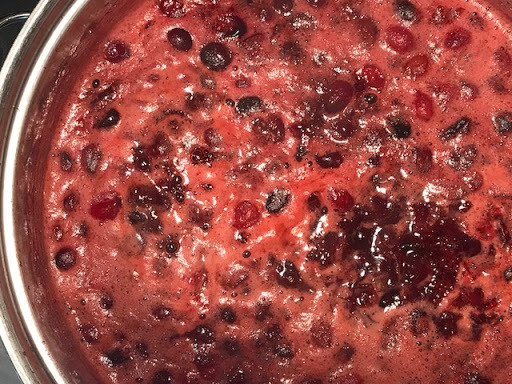 To process, ladle the cranberries into sterilized jars leaving one inch headspace. Wipe the rims with a damp cloth and place the flats and rings on the jars. Tighten to finger tip tight. Process for 15 minutes in a boiling water bath canner. Please follow recommended procedures for all water bath canning. This made 9 pints which is what my canner holds. I had 2 cups leftover…what am I going to do with that?? Stay tuned!